Shibby. 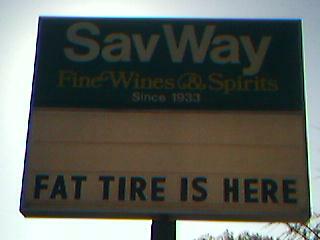 Fat Tire is spreading across the Chicagoland area. I spotted it the other day at Jewel, and now…. "Fat Tire is Here!" by Jeremy Felt, unless otherwise expressly stated, is licensed under a CC BY-SA 4.0 International License.